Uploading fitness videos to social media is showing signs of becoming a running theme this summer with Adam Lallana the latest Red to give fans an insight into his pre-season training. The Liverpool midfielder has taken to unconventional surroundings in the form of a beach to get his personal preparations underway ahead of joining up with his teammates again. His latest update exhibits a series of explosive sprint exercises, following up a recent video giving a glimpse of the work he has also been doing in the gym. Lallana hasn’t been alone in allowing supporters to see what he has been up to since the end of the season with Dejan Lovren and Daniel Sturridge both having also used Instagram as a platform to present their training regimes. Sturridge, in particular, has been working hard to reach full fitness as he looks to avoid enduring another campaign disrupted by injury setbacks. The Reds are expected to return to training in July with the club scheduled to play local friendlies against Tranmere and Wigan before taking part in the Asia Cup Trophy and finally playing Hertha Berlin before the end of the month. 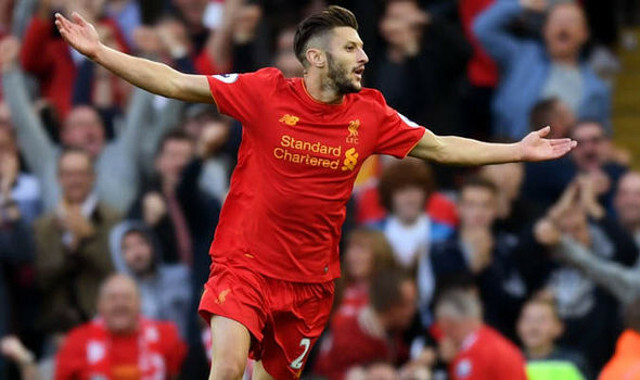 August will then see Lallana and his teammates compete with the likes of Bayern Munich, Atletico Madrid and AC Milan in the Audi Cup ahead of the start of the new Premier League season and the club’s Champions League playoff clash- set to be decided over two legs. The busy start to the season explains why the hard work away from the pitch hasn’t stopped for Jurgen Klopp’s men following the decisive final day win against Middlesbrough. Liverpool have a big season ahead and the players know it.